LOOK: Paalis na Sana! Arestado sa NAIA Ang isang Mayor na Isa sa ‘TOP 3 DRUG LORD’ sa Basilan! Mayor Jamar Abdula Mansul, the mayor of the municipality of Hadji Muhtamad was arrested. He is one of the 'Top 3 Drug Lord' in the province of Basilan Mansul. 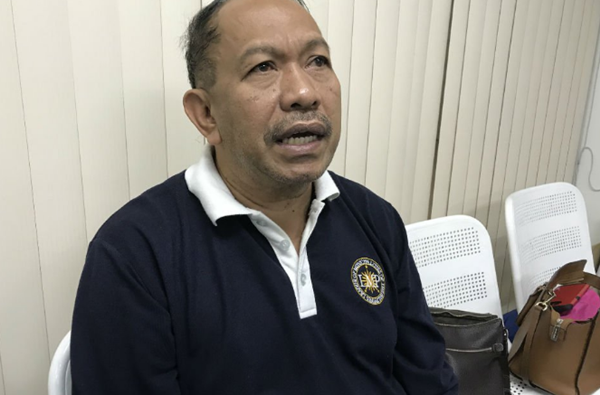 Western Mindanao Police Chief Senior Superintendent Fergen Torred confirmed the arrest of Mansul at the NAIA Terminal 1. The arrest occurred on Monday, at 6:40 am while Mansul boarded on a plane to Kuala Lumpur, Malaysia. 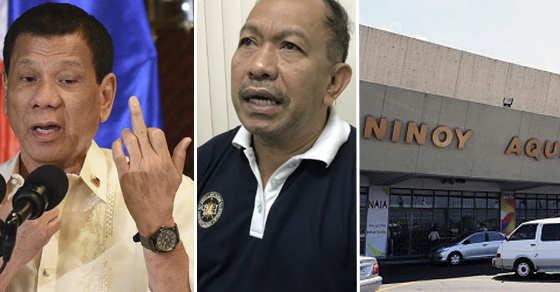 “I received the confirmation from the Department of National Defense (DND) stating that Mansul was apprehended by personnel of the National Bureau of Investigation (NBI) at the NAIA Terminal 1 on Monday morning,” said Torred. Mansul was included in the drug list by President Rodrigo Duterte and considered as "Big Fish." Nonoy Mallo: These people is abusing their authority . They still run their municipalities like their old ways of tribal . Unfortunately they set a bad example. If not checked people there will do what is easy and illegal. Government should set this as an example . He should be hanged for treason.. Only will people in basilan.ynderstand that the government means business and in giving prosperity to his municipality. さは らやわ: If this is true, mayor's balls are incomparable. In times where drug lords are being persecuted one after another, he was caught in a most critical and tighten security place such as this airport. God still loves the Filipinos, He is extending His mercy and grace to those He knew will embrace His salvation program before His predetermined return. Arnold Horcajo: basilan mayor lang? Ang daming druglord dyan sa Mindanao! Isa isahin nyo lalo na yung mga MAYOR sa ARMM, AUTONOMOUS REGION OF MUSLIM MINDANAO... Nagmamalinis yung maraming taga MINDANAO, eh ang MINDANAO ANG PINAKA ENTRY P0INT NG DROGA SA BANSA AT SMUGGLED NA KARGAMENTO. Trending Balita: LOOK: Paalis na Sana! Arestado sa NAIA Ang isang Mayor na Isa sa ‘TOP 3 DRUG LORD’ sa Basilan!